He will be remembered for a robust array of aspects of his legacy. “But his abiding contribution was in trying to stem the tide of government by judiciary.” That succinct summary by National Review editors captures the essence of Scalia’s place, time, and body of work, on the Supreme Court. It has been for a very long time. Justice Scalia wasn’t gone from this life 24 hours before operatives in media and politics were spinning his vacancy on the court as a pivotal motivating factor that would, depending on the commentator, help the Democrats or Republicans depending on who the president nominates to succeed him and what the Senate does about the confirmation process when that nominee is named. This election season, the Republican candidates for president — especially the eventual nominee — must place the politics of the judiciary squarely before the people, showing them that the only way toward a less political Supreme Court is through a more openly political debate about its future. If this happens, Antonin Scalia will have done, in death, one last great service for his country, rescuing American voters from a binge of silliness and sobering them up about their great responsibility as a self-governing people in a constitutional republic. Moving “toward a less political Supreme Court…through a more openly political debate about its future” is exactly what this nation needs, along with a serious, sober, reasoned political debate instead of the ideologically divisive one that drives everything else. That’s how the Wall Street Journal described the second Supreme Court ruling to uphold the Affordable Care Act, as written. The U.S. Supreme Court ruled the Obama administration can continue to subsidize health-insurance purchases by lower-income Americans across the country, a decision that preserves a centerpiece of the Affordable Care Act. rescuing for the second time the most ambitious social program in nearly 50 years and ensuring that the law’s ultimate fate will be in the hands of the political process. Which nearly everything is, these days. In the hands of the political process, that is. Except for those matters in the hands of the judiciary, though that wing has long been bending in the direction of the prevailing political winds. As usual, there’s a lot of coverage out there, something to fit any viewpoint. Though I’m a legal and policy wonk, my angle is of a purist, how carefully we adhere to the truth and meaning of language of law, policy, and everything else from political promises to social realities, scientific statements to biomedical facts, faith claims to gospel teachings, and all things as they uphold human dignity. So the key issue for me is how words were so central to this case and final ruling. Leaving aside the specifics of the AFA, otherwise known as Obamacare, I believe everyone deserves health care. How that is best delivered is debatable. Interestingly, two allegedly conservative justices, Chief Justice John Roberts and Justice Antonin Scalia, differed widely (and wildly) in their views of how to handle the Obamacare wording and challenge to it. And the wording of the opinion and dissent. The case turned on wording, as the WSJ and any other responsible media reported, no matter how else they reported it. In particular, four words: “established by the State”. To which dissenting Justice Scalia went to great lengths by delivering his lively and blistering dissent from the bench, which is unusual. There was a lot of buzz about judicial activism on this ruling. NRO’s Peter Augustine Lawler posted this in response. All in all, there are some interesting separation-of-powers issues here, as well as the one about the extent to which the Court should scope out the political environment before deciding whether or not to strike a law down. Yes. Which is precisely the point. It was the point when the Blackmun court wrote abortion into law and cited the Constitution as grounding for it, making that up as it went. It was the point going back to the Dred Scott decision on slavery. Both issues involve classes of human beings denied human rights by the high court. With this ruling, Justice Scalia said in his dissent, “words no longer have meaning”. How that atmosphere impacted the decision on how the definition of marriage was deliberated and decided is about to become clear. The task of restoring the meaning of language in communicating human truths is as vital as ever. The merits of Justice Roberts majority opinion may be understandable to many people. But Justice Scalia’s clarifying blast is a valuable call for truth in justice. With over ninety lawsuits in courts for over two years contesting the government’s violation of the Constitution and the Religious Freedom Restoration Act, this one may be emblematic. The Little Sisters of the Poor, and order of nuns founded in the 1800’s to care for the elderly sick and the poor, have to go to court again to fight for the right to continue to do so. As Congressman Jeff Fortenberry told me on radio Monday, “they were already providing affordable care!” And doing so long before the president’s law by that name required compliance in providing drugs and services that violate consciences. Understand the basics here, because the Little Sisters’ case starkly reveals them. Under RFRA [the Religious Freedom Restoration Act], the government must establish it has a compelling interest to infringe upon the religious liberty of its citizens. The HHS mandate asserts that the government has a compelling interest to require that all employers provide health insurance that covers contraception, sterilization, and abortion-inducing drugs. The government claims such coverage is on par with preventive medical practices such as immunizations and cancer screening. From a medical perspective this is ludicrous. 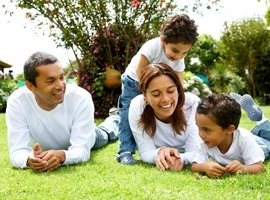 Preventive medicine prevents disease and maintains health. Pregnancy is not a disease and fertility is not a disorder. Full stop here. Because enough said. The Little Sisters – and all the other groups pursuing lawsuits to defend their right to continue doing their work and providing the healthcare coverage they were providing and applying their principles and moral beliefs to their work and services – are not trying to change what has already been easy access to birth control and morning-after pills. 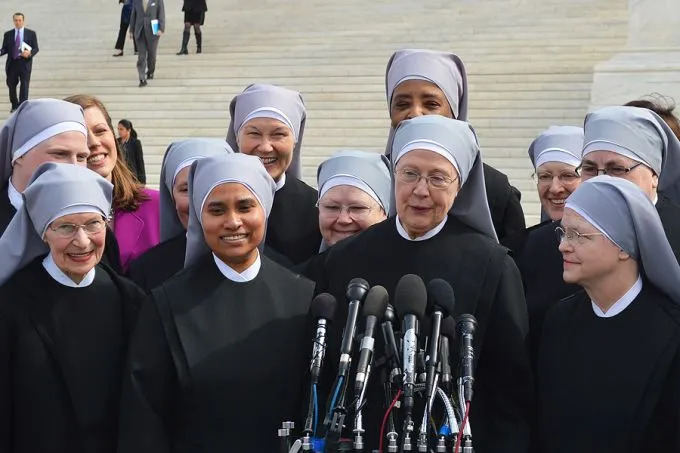 They’re trying to preserve their rights as they stood before the HHS mandate came out of nowhere and required coercion in a birth control delivery scheme that made these drugs part of the federal healthcare plan, masquerading as ‘women’s preventive health’. Rather than maintaining health, contraception takes a perfectly healthy reproductive system and renders it non-functional. The methods used to achieve this state of sterility are fraught with health risks. The government’s own information page on contraceptives indicates they are associated with substantial risks including blood clots, breast cancer, cervical cancer, and liver cancer. Recent studies have demonstrated the use of hormonal contraceptives double the risk of transmission of the AIDS-inducing HIV. Women who use hormonal contraceptives increase their risk of the most aggressive form of breast cancer by at least 100 percent. The increase in breast cancer risk is greater the younger women are when they begin using hormonal contraceptives. Some women choose to accept these risks and utilize hormonal contraception in order to be sexually active and avoid pregnancy. This is an elective lifestyle choice and not a necessary medical intervention. The government should have no more interest in whether or not women are accessing contraception to avoid pregnancy than whether or not women are using Lasik to improve their vision or using Botox to get rid of their wrinkles. So, getting back to the two-prong test of RFRA, the first one was just addressed, that the government does not have a compelling interest to infringe on the religious liberty of its citizens. Even if we were to allow that there is some government interest in ensuring all women have access to highly risky elective medical procedures, the HHS mandate fails to meet the second demand of RFRA that the government utilize the least restrictive means to satisfy its compelling interest. Since 1970, the federal government has funded contraception through a program known as Title X. When the HHS mandate was first introduced, supporters were quick to claim that virtually every American woman utilized contraception and supported their assertions with data from the Guttmacher Institute. There were many problems with their analysis of the Guttmacher Institute statistics, especially when it concerned the number of Catholic women utilizing contraceptives, but the information did indicate that access to contraception is not a problem for American women. Title X funding of women’s health clinics is working as intended. Therefore, the push to force all insurance policies to include coverage for contraception is addressing an access problem that does not exist. The least restrictive course of action would be to continue the current Title X funding mechanism and avoid infringement upon anyone’s religious liberty. On March 25, the U.S. Supreme Court will begin hearing oral arguments in two key cases challenging the constitutionality of the government’s HHS mandate. In the meantime, all sorts of injunctions have been granted to employers and organizations to stave off the harsh impact of this mandate until it’s settled by the high court. That includes the New Year’s Eve injunction granted the Little Sisters by Supreme Court Justice Sonia Sotomayor. Followed by the full Supreme Court ruling continuing that relief until the 10th Circuit took up the case again. Now the Little Sisters have gone back before the 10th Circuit Court of Appeals, seeking justice. The injunction from the Supreme Court provided the Little Sisters short-term protection from being forced to sign and deliver the controversial government forms authorizing, ordering, and incentivizing their health benefits administrator to provide contraceptives, sterilization, and drugs and devices that may cause early abortions. Instead, the Little Sisters simply had to inform HHS of their religious identity and objections. In a USA Today column in the midst of this ongoing struggle, Kirsten Powers – who believes in government mandated birth control delivery on the face of it – called on the administration to give the Little Sisters of the Poor a break. This is a very strange case. The government has argued that signing the form is meaningless because the nuns’ insurer, the Christian Brothers Employee Benefits Trust, is exempt from the mandate. Yet it has fought the Sisters all the way to the Supreme Court to make them sign it. What’s going on? The government’s brief to the Colorado court provides a clue. It drips with contempt. The Obama administration finds the nuns’ complaint “implausible” and alleges that the Sisters are “fighting an invisible dragon.” Oh, you silly, simple-minded nuns! Just stop imagining things and do what the government tells you. The Sisters reject the government’s contention that the form does nothing, as did all six lower courts to consider the claim in other church plan cases. They are wise to be leery of Uncle Sam’s intentions. The dismissive tone of the administration’s brief is consistent with its overall attitude toward religious liberty issues throughout the implementation of the contraception mandate. Health and Human Services Secretary Kathleen Sebelius never bothered to consult the Justice Department to determine whether the mandate was consistent with the Constitution and the Religious Freedom Restoration Act, despite requests from Congress. When asked whether she consulted the U.S. Conference of Catholic Bishops over their complaints about an effort to find an “accommodation,” Sebelius said she didn’t. Considering it was the primary group complaining, why not? These are questions I’ve been asking for the past two years, and few in big media have bothered to. I’m glad Powers asked. The administration’s indifference to religious liberty complaints is not limited to issues arising from Obamacare. In 2011, the government made the argument in Hosanna-Tabor v. the Equal Employment Opportunity Commission that churches do not have special rights under the First Amendment but merely association rights, like unions. Justice Antonin Scalia called this “extraordinary,” and Justice Elena Kagan said it was an “amazing” claim. Another word that comes to mind is “disturbing.” A unanimous court rejected the administration’s claim. However, nine days after that unanimous Supreme Court ruling rejected the administration’s claim to the right to infringe on religious freedom in Hosanna-Tabor, the HHS mandate was issued. This is, in a word, relentless.